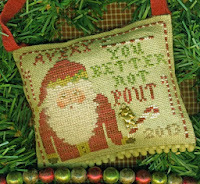 BETTER NOT POUT, from Homespun Elegance, features a classic Santa on a pillow embellished with a teddy bear charm. 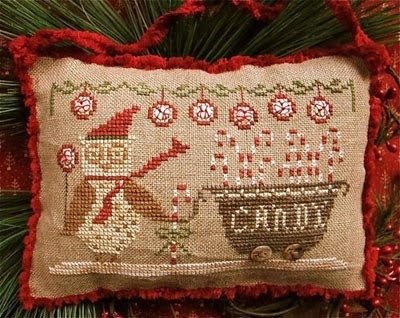 Also from Homespun Elegance, DELIVERING PEPPERMINTS AND CANDY CANES, shows the cutest owl pulling his wagon filled with Christmas candies. 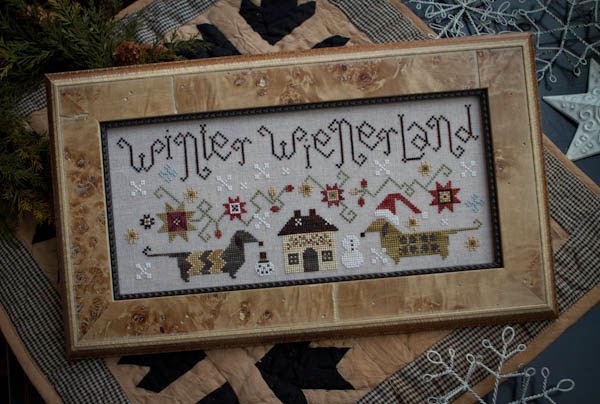 WINTER WIENERLAND, a favorite from Plum Street Samplers, highlights two adorable dachshunds in Santa hats surrounded by snowflakes. 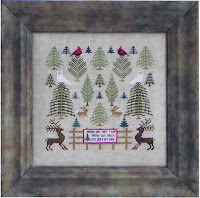 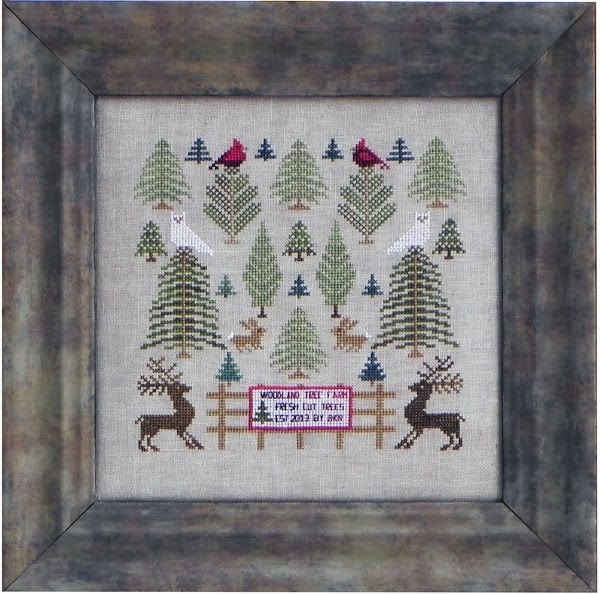 WOODLAND TREE FOREST – Two deer, rabbits, cardinals and owls standing in a large grove of trees. 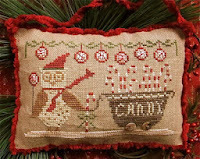 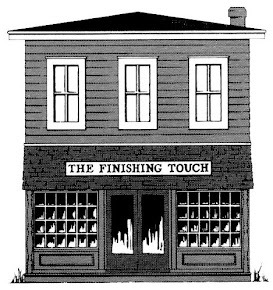 Design from Blue Ribbon. We wish each of you a happy, healthy and peaceful Holiday Season.